The following size chart is a guide to assist you to select your size. Measurements are indicative of body measurements and not our garments’ measurements. All measurements are in centimeters and inches (in brackets). 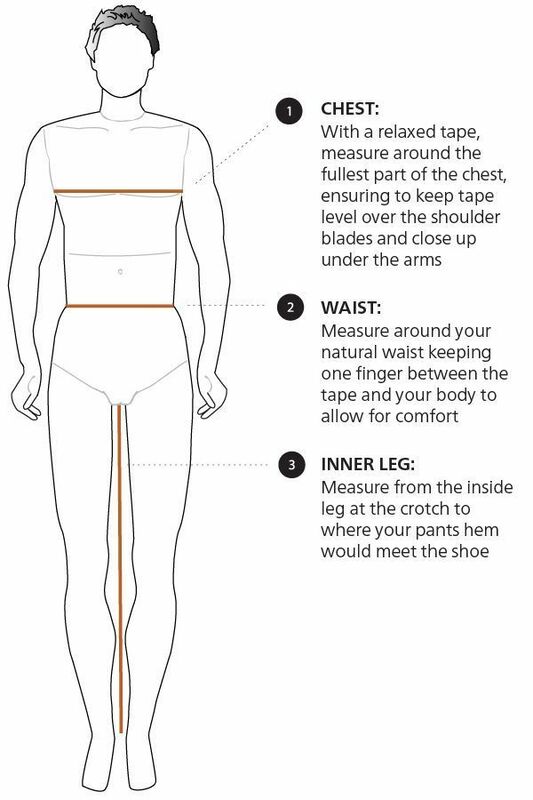 If you are unsure of your clothing size, please follow these simple measuring instructions below to help find your correct size. You will require a tape measure, with measurements best taken while wearing underwear and with the assistance of someone to help position the tape accurately.